The holy grail of drone delivery has always been fully automated or Beyond Visual Line of Sight (BVLOS) operations where a restaurant, a retailer or even a medical practitioner can load a delivery drone without a pilot. While the technology is largely ready for BVLOS drone flights, regulators have been extremely cautious about allowing drone operators to do so. So far, there have been only a handful of waivers and limited tests around the world. 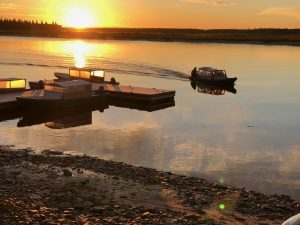 But one drone operation out of Canada has just wrapped up what looks to be the most extensive BVLOS test yet, ferrying a wide range of goods between the small towns of Moosonee and Moose Factory, Canada. “We flew day and night, we flew in different weather conditions. We moved blood samples, we moved food, we moved mail. We move a lot of different goods and it was very, very positive. 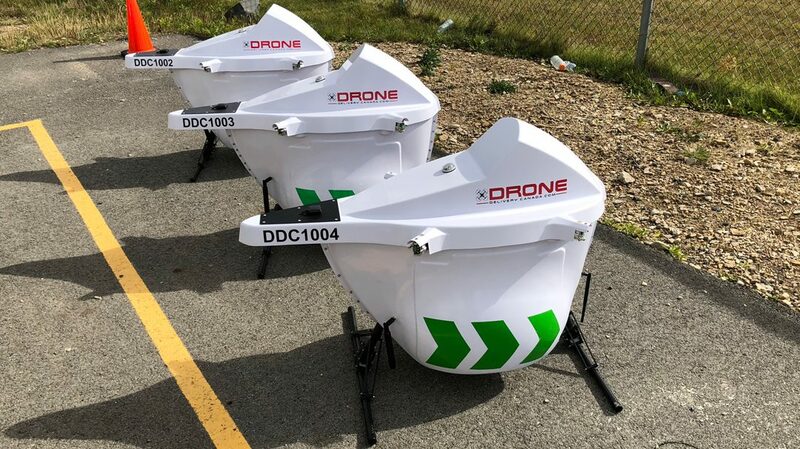 We had a 100 percent success rate on over 100 flights,” said Tony Di Benedetto, CEO of Drone Delivery Canada (OTC: TAKOF). This was a major test for the Drone Delivery Canada technology stack and an encouraging first for BVLOS operations in general because it was in a partnership with the Canadian air safety bodies Transport Canada and NAV Canada, which form the equivalent of the U.S. Federal Flight Administration on the public and private side of airspace. Working alongside such regulators was at the core of the business when it was founded in 2014. Because of that close association, the company was the first operator in North America to be named compliant with federal regulations. So with the blessings of regulators, why focus on two tiny towns? That’s where the real infrastructure opportunity lies. A gorgeous view of the remote area where Drone Delivery Canada sees opportunity. Deliveries via drones, however, cost “pennies on the dollar” and could be necessary in modernizing these communities. Di Benedetto likened it to the great American railway expansion of the 1800s. One of the “depots” from which drones take off and land. In practice, the drones fly between what Drone Delivery Canada calls depots. 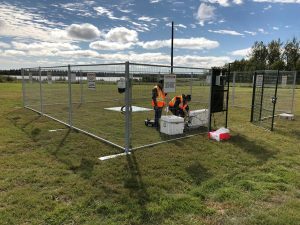 They’re small, fenced-in areas where operators load the drones, give the all clear and signal the drone to take flight. The depots are connected by an approved flight path originating from a spot near the Moose Factory airport. The drone used in the test was able to carry 10 pounds in each load over about a three-mile trip. Future drones, however, will be able to carry up to 2,000 pounds over 2,000 miles. Di Benedetto admitted the test was not as exciting as some of the zany patents out there or pie-in-the sky drone ideas like landing on light poles or descending from a zeppelin, but it’s a big step that puts the company six to seven years ahead of other operators. He said the projected timeline for full commercialization is coming faster than they had anticipated. He said the company plans for full operations for far-flung communities in 2019, and will grow closer to the urban core as time goes on. He predicts suburban operations within two years and urban operations shortly after that. So start watching for the acronym BVLOS, because you’ll likely see the term more and more frequently.